It shouldn’t surprise us that Luke has assembled a series of eyewitness narratives from a number of different eyewitness sources to present us with the truth of the birth narrative. We should expect stylistic and linguistic differences within the Gospel of Luke for this reason. The Gospel of Luke is not a single narrative from one eyewitness. It is, instead, an historical biography compiled by Luke. In addition, it also shouldn’t surprise us that the birth narratives of Luke and Matthew are far more “Hebraic” or “Semitic” than other sections, because both authors are trying to demonstrate the continuity between the Old Testament prophetic expectations of a Messiah and the appearance of Jesus as that Messiah. The argument of critics based on “content shifting” is typically leveled at both the Gospel of Matthew and the Gospel of Luke. Critics argue that there are natural “breaks” in the content of these two gospels between the birth narratives and the following sections which contain the introductions to John the Baptist. As a result, they believe that Luke and Matthew’s gospel originally began with the story of John the Baptist, just as did Mark’s gospel. But this defies all the manuscript evidence available to us; there is absolutely no evidence that the Gospel of Matthew and Luke ever existed without the birth narratives. All manuscripts, translations, early Church documents and references to the Gospels, along with every historic, reliable witness testifies to the fact that the birth narratives are ancient and part of the original record. For this reason, most serious scholars are now skeptical regarding claims that the birth narratives are late additions. 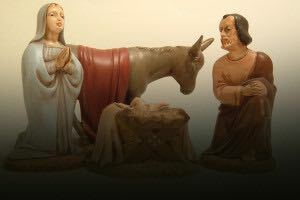 The birth narrative of Jesus (including the description of the “virgin conception”) is not a late addition. In fact, Mark’s Gospel, although it does not contain details about the birth of Jesus, does contain references to the supernatural nature of Jesus’ lineage. The “virgin conception” of Jesus is an essential, reasonable truth claim of Christianity. It is not a piece of borrowed mythology, or a work of ancient fiction.